Zoë Keating is a one-woman orchestra. She uses a cello and a foot-controlled laptop to record layer upon layer of cello, creating intricate, haunting and compelling music. Zoë is known for both her use of technology – which she uses to sample her cello onstage – and for her DIY ethic which has resulted in the sale of over 60,000 copies of her self-released albums and a devoted following. Born in Canada and classically trained from the age of eight, Zoë obtained a liberal arts degree from Sarah Lawrence College and then spent her 20’s working in software while moonlighting as a cellist in rock bands. She eventually combined the cello and the computer, developing her signature style of live-layered music while improvising for late night crowds at her Francisco warehouse. 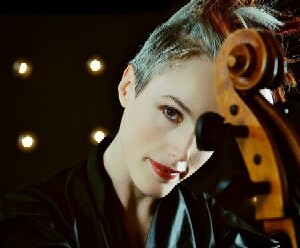 In 2003 Zoë quit her tech job to focus on her layered cello music. She made the choice to release her music online without a label, believing that her listeners were out there and she just needed to find them. Zoë’s successful grassroots, DIY approach has garnered her much public attention and press. She speaks regularly on artist-empowerment, sustainable careers and the concept of artist-as-entrepreneur, has been profiled on NPR’s All Things Considered, named a Young Global Leader by the World Economic Forum and awarded a performing arts grant from the Creative Capital Foundation. She serves on the boards of the San Francisco chapter of the Recording Academy, the Magik Magik Orchestra and CASH Music, a nonprofit organization that builds open source digital tools for musicians and labels. Zoë has performed and recorded with a wide range of artists, including Imogen Heap, Amanda Palmer, Tears for Fears, DJ Shadow, John Vanderslice, Rasputina, Pomplamoose and Paolo Nutini. She has collaborated and performed with WNYC’s Radiolab and is also known for her work in film and dance. Commissions include music for the San Francisco MOMA and soundtracks for the films Ghost Bird, The Devil’s Chair and Frozen Angels. Her music has been used by countless entities, including the BBC, ITV, PBS, NPR, CBS, NBC, Intel, IBM, Apple, Patagonia, Specialized Bikes, the Alonzo King Lines Ballet, Alvin Ailey Dance, Parsons Dance and San Francisco’s ODC, and was recently in the Broadway play “Wit” starring Cynthia Nixon.Her cello playing can be heard on Mark Isham’s scores The Conspirator, Warrior and The Secret Life of Bees. Zoë makes an effort to reach audiences wherever they are, performing on radio, television and webcasts, outdoors in the desert, in churches and concert halls, at universities, museums, technology conferences, airports, public spaces, executive brainstorming sessions, house concerts, bars and rock clubs across around the world.